Google is wild for all this machine learning and computational photography stuff lately. That's good because it has led to innovations like HDR+ and Google Photos. Google's researchers are also constantly coming up with neat little demos, some of which are packaged up as apps. 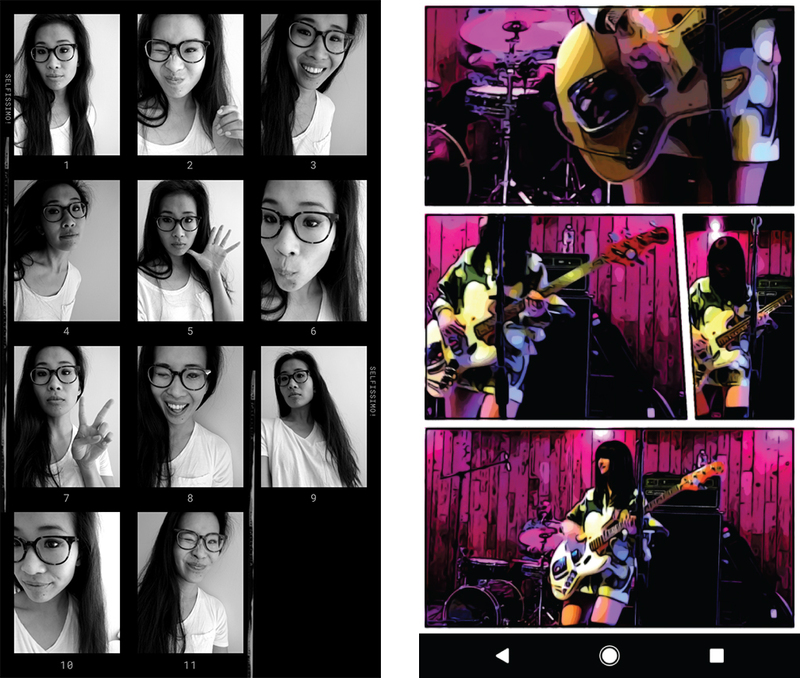 Case in point, the newly launched Storyboard and Selfissimo apps in the Play Store. You can check them out right now, but don't expect a lot of functionality. Both apps are one-trick-ponies. Storyboard is a video-focused app, but it doesn't capture videos. No, you feed in a video, and Storyboard clips out important frames, then arranges them in a comic-style layout. Finally, it applies one of six visual filters to make it look more like a real comic. Selfissimo is a selfie app—I know, real surprise there. With this app, you hold the phone up, and it automatically snaps a photo each time you strike a pose. It produces a "contact sheet" of photos with a monochrome filter, then you can save the entire sheet or individual photos. That's it. Google also released a third experimental app called Scrubbies, but it's only on iOS. This app lets you manipulate the speed and direction of video to create loops and highlight reels. This one actually looks the most interesting to me, so it's a bummer we can't play around with it. You can grab the other two apps in the Play Store, though. These are apparently just the first in a series of "appsperiments" Google plans to release.